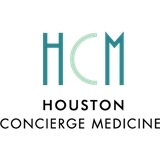 Houston Concierge Medicine (Houston) - Book Appointment Online! At Houston Concierge Medicine & Wellness Center we are dedicated to providing you with the quality healthcare that you deserve. Our mission is to get to know you and develop personalized diagnostic and treatments plans that fit your specific needs. We offer high-quality primary care easily accessible to you without the hassle. Our wellness center offers massage therapy including Reiki massage, as well as the Hydrafacial® MD, nutrition and more. The staff was very nice and professional. I wasn't rushed at all and felt like I was listened too. Dr. Burzynski gave me options for medication and explained the pros and cons of each and didn't push one over the other. I would definitely recommend this office and I will be returning in the near future.